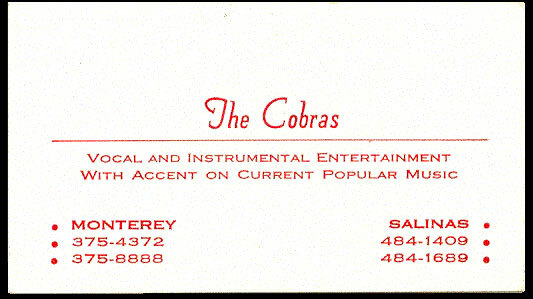 The Cobras started out as an instrumental band called The Vistells. 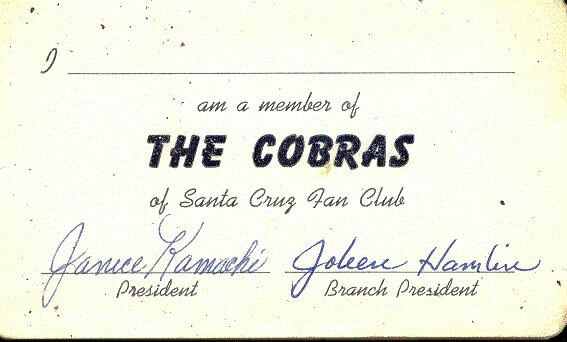 After Bob O'Neill replaced Johnny Mullins on guitar they changed their name to The Cobras. 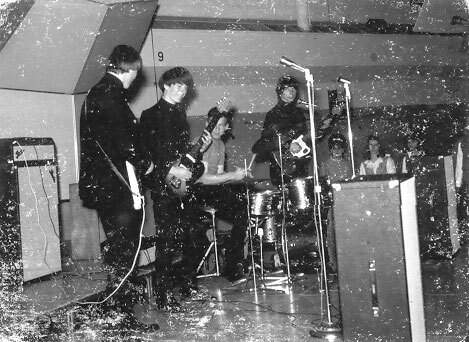 The band later was based out of the Santa Cruz area and played often at local gigs opening for many of the big name acts of the era. 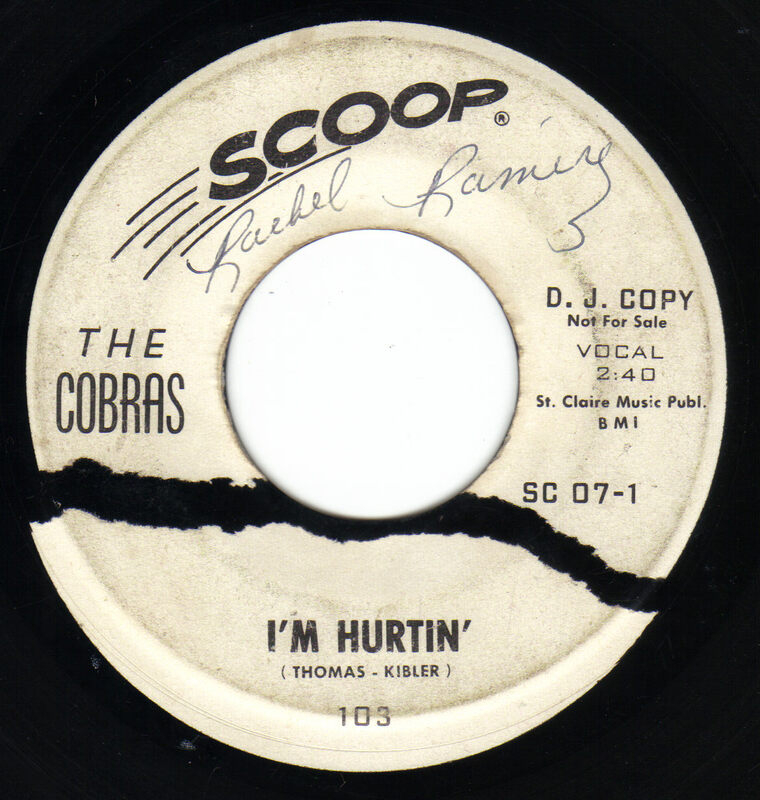 During this time keyboardest Gary Thomas joined and helped round out the bands sound with his Farfisa organ. 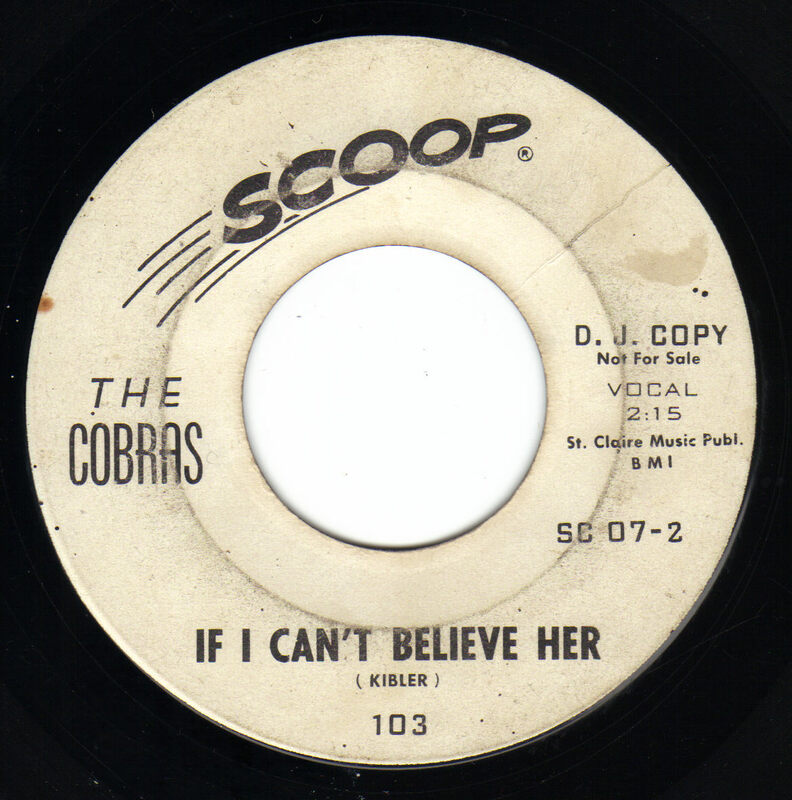 They recorded two original songs on the Scoop record label but Dave Kibler and Mike Reesen were drafted into the military and The Cobras disbanded. 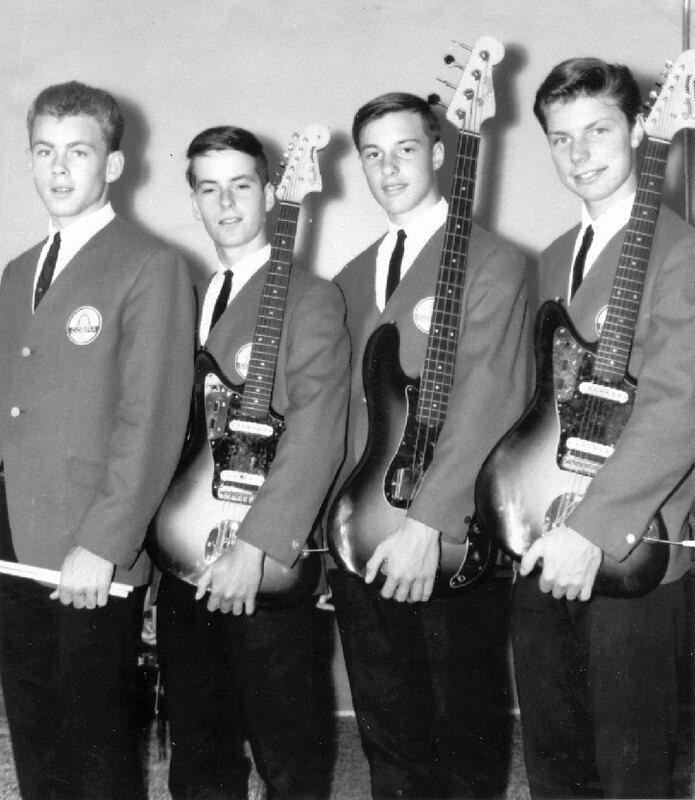 Bob O'Niell went on to form Talon Wedge which turned into Snail and became a very popular band that released two albums in the 70's.